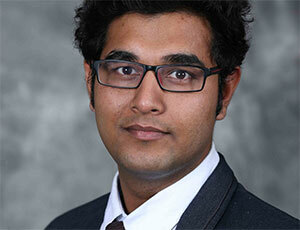 Ashirwad Barnwal is a student at Iowa State University of Science and Technology. He is the first-place winner of the Spring 2016 Asbestos.com Essay Scholarship. Ashirwad describes how his experience as a civil engineer in India opened his eyes to the dangers of asbestos, development of mesothelioma and the corporate greed of asbestos manufacturers. In August 2014, I joined the mining industry in eastern India as a civil engineer to look after a company’s ongoing construction projects in Jharkhand, a state with huge mineral reserves. Several months later, while browsing through old project reports, I stumbled upon an article on the plight of more than 200 people in villages near the hills of Roro, about 100 miles from my project site. A preliminary health survey on the Roro villages, conducted a few years ago, indicated people in this area suffered from adverse health effects such as low back pain, shortness of breath, blood in the sputum and blindness. The survey identified prolonged exposure to asbestos fibers from a nearby asbestos mine as the primary reason for their deteriorating health. After 20 years of operation, the company abruptly closed in 1983 after incurring huge losses and disregarding hazardous waste removal rules when it dumped untreated toxic materials in the Roro hills. Around 700,000 tons of asbestos still lies scattered there, jeopardizing the health of the existing population and future generations. Prior to studying the case of Roro hills, I admit that I never knew asbestos fibers had such lethal effects. Widely recognized for its excellent fire resistance and insulation properties, asbestos was once used globally as a construction material. But in the past few decades, Japan, Argentina and all European Union countries completely banned the production and usage of asbestos. While the United States severely curtailed its use, the substance isn’t banned. Dwindling markets in developed countries shifted the focus of the asbestos industry toward India and other developing nations where weak legislation provided grounds for expansion. According to United Nations data, India imported 322,200 metric tons of asbestos in 2009. Government data also shows asbestos use in India increased by 83 percent since 2004. The need for cheap roofing and piping material further drives the need to ship asbestos from Russia, Brazil and Canada. It also appears that every law and guideline regulating the import and use of asbestos is in the process of getting revoked or bent to favor the industry. Even though researchers around the world link asbestos exposure to mesothelioma and other diseases, the Asbestos Cement Products Manufacturer’s Association (ACPMA), a New Delhi-based industry organization, concedes nothing. The ACPMA also argued that lung cancer deaths likely stemming from inhalation of asbestos fibers have not been conclusively linked to asbestos in India. Consequently, the government refused to impose a ban on asbestos use. This introduces important concerns about the relationship between government officials and powerful industries, which are fueling asbestos use in India and endangering millions of people to asbestos-related diseases. About a year after working in the Indian mining industry, I quit my job. I am now pursuing graduate studies in the field of transportation in the U.S. However, I continued my quest to gather information about mesothelioma and other asbestos-related lung cancers to raise awareness. Because of inadequate medical training in India, pleural mesothelioma is often misdiagnosed as bronchitis or tuberculosis. Symptoms often mimic those of more common and less serious diseases, which adds to the lack of a proper diagnosis. It takes years, usually decades, between exposure and the onset of the disease. In the United States, around 3,000 cases are diagnosed annually. The International Labor Office believes asbestos-related diseases cause more than 100,000 deaths globally and predicts this figure will grow between 500,000 to a million. These statistics are terrifying and the best solution available is to impose a global ban on asbestos, as there is no cure available for asbestos-related malignancies. Researchers currently are testing two promising emerging therapies — immunotherapy and gene therapy — in mesothelioma clinical trials across the globe. Immunotherapy enhances the immune system response to mesothelioma, but it cannot cure the cancer. However, it can improve survival rates and alleviate health effects. Gene therapy attempts to treat the cancer by manipulating a patient’s genes. These therapies are awaiting U.S. Food and Drug Administration approval. Some patients choose to participate in clinical trials when conventional therapies do not work and alternate treatment options are unavailable. The burden of industrial pollution has reached the developing world much faster than the fruits of industrial growth. Presently, some developing nations are obsessed with the quest for economic development and disregard the curse asbestos might heap on their citizens. That’s why international organizations, such as the United Nations, should take the lead in banning asbestos use on a global scale. Developed nations, such as the U.S., should take a stronger stand on working to identify mesothelioma earlier, as well as sharing the latest treatment protocols with the rest of the world to save as many lives as possible. It requires a concerted effort by individuals, government, campaigners and nongovernment organizations to drive a movement to help create a world free of asbestos. Krishnan, M., Ray, S. (2016, August 20). India's Wide Use of Asbestos Brings Dire Warnings. Joshi, TK, et al. (2004). Asbestos in Developing Countries: Magnitude of Risk and Its Practical Implications.